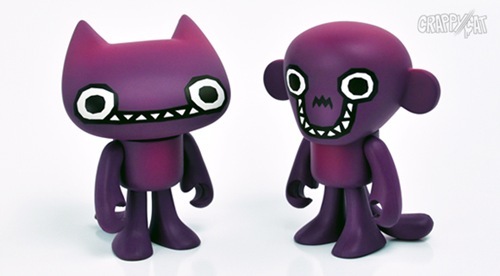 CrappyCat is out to release their newest exclusive colorway of their CrappyCat and FlunkMonkey mini figures. They’ve gone the flavor route with their Poison Plum edition from a promising Oh Schnapps series. This is a CrappyCat.com exclusive and is limited to 125 – 2 piece sets and will be available HERE on Wednesday, May 16th at 2PM EST. What you get is 1 Poison Plum CrappyCat, 1 Poison Plum FlunkMonkey and a signed and numbered 7.5”x13” Poison Plum Screen Print. All for just $35, which includes shipping in the U.S. 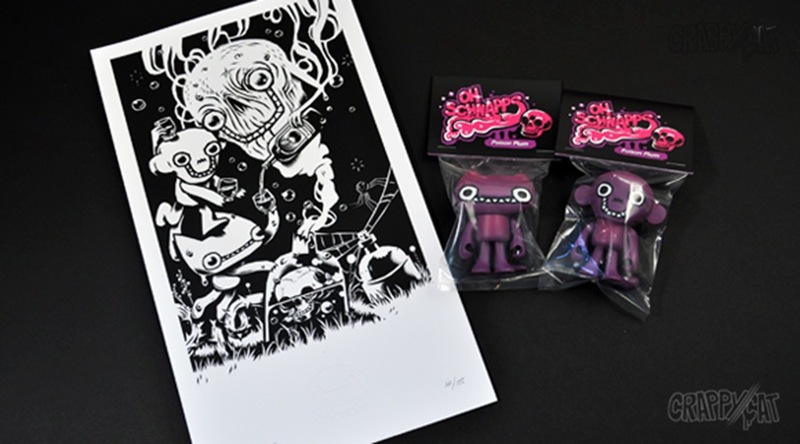 These will also be available for a 48 hour window, so be sure to get your orders in early!